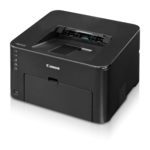 The Canon imageCLASS LBP253dw is an easy to use, single function laser printer that is an ideal solution for a small office or home office environment. With so many easy to use features, such as the intuitive Colour Touch LCD Display, various mobile solutions and security capabilities, completing your daily workflow will be a breeze. The LBP253dw features a user friendly, 3.5 inch Touch LCD display, which allows you to navigate through the menus efficiently. The LBP253dw delivers fast, exceptional black and white laser output and prints your professional quality documents at speeds of up to 35 pages-per-minute1 with your first print available in 6 seconds or less2. Eco friendly, automatic duplexing increases your business efficiency by helping your business save on paper costs while saving paper. Your printing needs are covered, with paper handling of up to 250 sheets in a front loading cassette, 50 sheets in the multipurpose tray and an additional 500 sheets in the optional paper cassette, for a total paper capacity of 800 sheets3. The LBP253dw has wireless connectivity and mobile solutions that allow you to keep your business moving forward while on the go. Built in Wi-Fi Direct Connection4a enables easy connection to mobile devices without a router. The LBP253dw features mobile capabilities for printing on the go using your compatible mobile device such as Apple® AirPrint®6, Mopria™ Print Service7 and Google Cloud Print™8. The Canon PRINT Business5 app allows users to print to the device from compatible iOS or Android devices. The LBP253dw is also equipped with Near Field Communication (NFC9), which allows you to "tap and print" using your compatible mobile Android device. 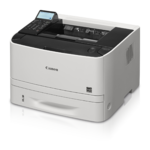 The LBP253dw offers security and a diversity of print features to help you manage your business. Password protected Department ID Management helps business owners manage device usage for up to 300 IDs. Secure Print helps keep printed confidential documents safe, and with USB Direct Print, you can easily print from your USB flash drive in JPEG, TIFF and PDF formats. Additionally, the LBP253dw supports PCL 5e/6, Adobe® Postscript® and UFR II printer languages, allowing greater versatility for your printing needs. The LBP253dw uses 1.6 watts or less in Energy Saver Mode, helping you save on energy costs. The Single Cartridge System combines the toner and drum into 1 unit, making replacement of cartridges simple. This printer uses Cartridge 119 Black and Cartridge 119 Black II for higher volume printing. 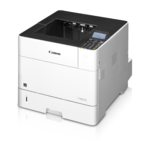 The LBP253dw offers feature rich capabilities in a high quality, compact, reliable printer that is ideal for any office environment. Wi-Fi® Direct Connection4a enables easy connection from your mobile devices without a router. Fast print speeds of up to 35 pages per minute1, with your first print in your hands in 6 seconds2 or less. Easily navigate through all the features with the 3.5-inch, Colour Touch-Panel. Password protected Department ID Management helps business owners manage device usage for up to 300 IDs. Supports host-based UFR II, PCL 5e/6 and Adobe® PostScript® to provide printing versatility for your business. Eco-friendly, two-sided printing out of the box saves paper and related cost. Direct Print from USB allows printing from JPEG, TIFF, and PDF formats. Touch and Print with Near Field Communication (NFC)9 using your compatible mobile Android device. Low energy consumption; uses just 1.6 W in wireless, Energy Saver mode. Power Consumption Max: 990W or less. 3. Based on 20 lb. bond paper. 4. Wireless performance may vary based on terrain and distance between the printer and wireless network clients. 4a. Wi-Fi® is a registered trademark of the Wi-Fi Alliance®. The Wi-Fi CERTIFIED™ Logo is a certification mark of the Wi-Fi Alliance®. 9. 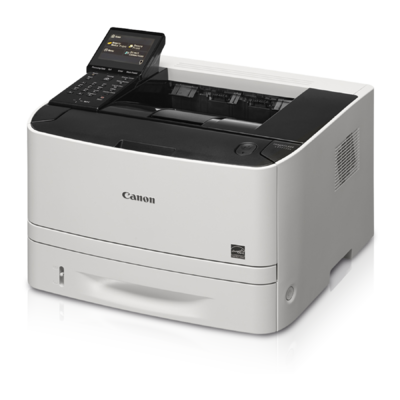 Requires an Android mobile device with NFC hardware running Android 4.0 or later, and the Canon Print Business app, available for free at Google Play. Canon Print Business app must be open to use tap and print functionality. 10. Warranty program is subject to certain conditions and restrictions. See the warranty card for details.